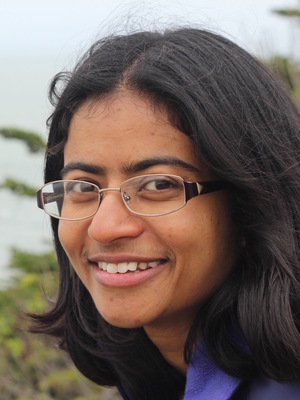 Amrita Dhar was educated at the universities of Jadavpur (India), Cambridge (UK), and Michigan (US). She is Assistant Professor of English at The Ohio State University, where she teaches courses in early modern English literature and disability studies. Her book project examines the workings of blindness towards the making of poetic language. She is also an active traveller of mountains and writes about world mountaineering literatures and cultures. Dhar, Amrita. “Travel and Mountains.” The Cambridge History of Travel Writing. Ed. Nandini Das and Tim Youngs. Cambridge: Cambridge University Press, 2019. 345-60. Print. Dhar, Amrita. “Toward Blind Language: John Milton Writing, 1648-1656.” Milton Studies 60.1-2 (2018): 75-107. Print. Dhar, Amrita. “Seeing Feelingly: Sight and Service in King Lear.” Disability, Health, and Happiness in the Shakespearean Body. Ed. Sujata Iyengar. New York: Routledge, 2015. 76-92. Print. Dhar, Amrita. “Food and Literature of the Himalayan Heights.” The Writer’s Feast: Food and the Cultures of Representation. Ed. Supriya Chaudhuri and Rimi B. Chatterjee. New Delhi: Orient BlackSwan, 2011. 206-22. Print.